As the season opener draws near, the Northwest Super Late Model Series Inc. (NWSLMS) is pleased to announce the 2018 Points Fund and Contingency Prizes to registered drivers. Series Director, Jarrod Goodwin, who has been working diligently during the off season, is excited that the series is able to offer something back to its drivers. “We pride ourselves on having some of the best drivers in the northwest compete with our series. Being able to let them know how much we appreciate them makes it even better,” Goodwin noted. *Driver must compete in 7 of the 8 scheduled races to be eligible for the point’s fund. * All cars must run series provided contingency decals & patches on all main events to be eligible for any of the contingency awards. If you do not run the decal package on even one event it will make you ineligible for any contingency awards for the year. Championship Ring from Jostens, $1500 value, $150 Certificate from KRC, $200 Certificate from Wheel Chill. $1,500 toward DRP Pull Down & Laser Alignment services with Racing Dynamics. Custom SLM Car Wrap & design by Accelerated Graphics, $1000 Value. AR or 5 Star re-skin kit, only one kit per body manufacturer, $1000.00+ Value, highest finisher in points chooses first. You are responsible for tax and shipping. $500 Gift Certificate to Frank’s Radio Service for product or radio service work. (1) Day NASCAR K&N Test with Jefferson Pitts Racing, Will be decided based on best 7 of 8 races, must race all 8 races to be eligible for award. $5,000 Value. * $50 gift certificate for longest tow to the race that day. * Starting at race one, three random drivers in the top ten in series points will receive one (1) tire per race at no charge. * $100.00 cash and plaque for “The Hard Charger”. The driver who gains the most positions from their starting position. In the event of a tie it will be awarded to whoever started the furthest back in starting position. * (8)/One for each race - $25 Certificate towards Driver Blowers, awarded to random draw for position 10-24 at each race. * (8)/One for each race - $25 Certificate towards Grill Chill, awarded to random draw for position 10-24 at each race. * Hard Luck Award awarded to the driver with the worst luck of the night. This Driver will receive Joe’s racing Products newest tire gauge. More to be added at a later date!!! Please note that all race contingency sponsor awards will be awarded at the following event from which it was won at during the drivers meeting. In their fifth season, the Northwest Super Late Model Series Inc. is the premier regional touring Super Late Model series in the Pacific Northwest. The series has many valued marketing partner including Hoosier Racing Tire, McGunegill Engine Performance, AR Bodies, Accelerated Graphics, Five Star Bodies, Longacre Racing Products, Franks Racing Radio, Jefferson Pitts Racing, Bassett Wheels, TI Company, Pacific Steel Structures, LLC, Leonard Evans Used Car Super Store and Racing Dynamiks. For more information on the series visit www.nwsuperlatemodels.com or on Social Media, Facebook (NWSLMS) or Twitter (@nw_latemodels). CLOVIS, CALIFORNIA (March 16, 2018) – 15 year-old Austin Herzog of Clovis, CA made the most of his maiden voyage in the NASCAR K&N Pro Series, West on Thursday night, taking home an eighth place finish at Kern County Raceway Park. Herzog drove the #77 LC Services / Superior Door & Building Materials Ford for Jefferson Pitts Racing at the half-mile speedway. Herzog ran as high as sixth in the final practice session during the afternoon and qualified 11th fastest out of the 23 competitors on hand. The race’s youngest driver, Herzog got underway in the midst of heavy battling early in the race. By the 50th lap, he had moved past Rod Johnson, Jr. for 12th place before Johnson got back around him before the lap 65 break. Adjustments led by crew chief Charlie Wilson freed up the car and allowed Herzog to engage in an entertaining duel with fellow Jr. Late Model graduate Hailie Deegan. Herzog went around Deegan on the outside for ninth before a caution flag. On the ensuing restart, the duo went toe to toe for another half dozen laps with Deegan getting the position on the outside herself. Herzog was running 12th at the second and final scheduled break at lap 125 and elected not to pit. The restart proved strong for Herzog as he darted back into the top-ten and ran in a closely wound pack the rest of the way. Things began to tighten up on the final lap. An incident in front of Herzog allowed him to sneak through for an eighth place finish at the stripe. Herzog also managed to be the second highest finishing JPR entry as well. “My crew chief gave me an awesome handling car. We got a little tight halfway through the race but that just goes along with tire wear. Without him giving us that perfect car we wouldn’t have been able to get through the field like we did." Race fans can keep up on all of the action for Austin Herzog Motorsports at www.AustinHerzogRacing.com Austin Herzog Motorsports can also be found on Facebook. Austin Herzog thanks LC Services, Superior Door & Building Materials, Sanger Concrete, Castech Pest Services, and Richard Herzog Construction & Solar for their support of his NASCAR K&N West Series debut. BAKERSFIELD, Calif. -- Kern County Raceway Park is in Kevin Harvick’s hometown, but the track is clearly Derek Kraus’s kingdom. 1. (6) Derek Kraus, Stratford, Wis., Toyota, 175 laps, 64.762 mph. 2. (12) Derek Thorn, Lakeport, Calif., Ford, 175. 3. (2) Cole Rouse, Fort Smith, Ark., Toyota, 175. 4. (1) Kevin Harvick, Charlotte, NC, Ford, 175. 5. (5) Ryan Partridge, Rancho Cucamonga, Calif., Ford, 175. 6. (9) Trevor Huddleston, Agoura Hills, Calif., Ford, 175. 7. (8) Hailie Deegan, Temecula, Calif, Toyota, 175. 8. (11) Austin Herzog, Clovis, Calif., Ford, 175. 9. (14) Rod Johnson Jr., Canyon Country, Calif., Ford, 175. 10. (10) Reid Lanpher, Manchester, Maine, Ford, 175. 11. (13) Matt Levin, Tucson, Ariz., Chevrolet, 174. 12. (3) David Mayhew, Atascadero, Calif., Chevrolet, 174. 13. (16) Ron Norman, Tucson, Ariz., Chevrolet, 174. 14. (19) Bill Kann, Scottsdale, Ariz., Chevrolet, 174. 15. 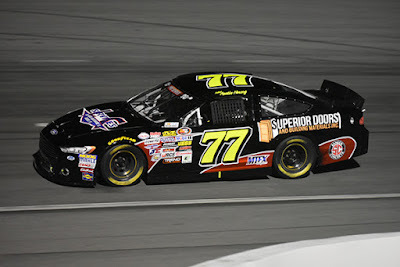 (18) Travis Milburn, Eagle, Idaho, Chevrolet, 174. 16. (4) Will Rodgers, Solvang, Calif., Ford, 174. 17. (23) Salvatore Iovino, Los Angeles, Calif., Ford, 160. 18. (21) Rich DeLong III, Santa Clarita, Calif., Chevrolet, 155. 19. (22) Andrew Tuttle, Eagle, Idaho, Chevrolet, 155. 20. (20) Takuma Koga, Nagoya, Japan, Chevrolet, 132. 21. (7) Kody Vanderwal, LaSalle, Colo, Ford, 128, overheating. 22. (15) Todd Souza, Aromas, Calif., Toyota, 89, accident. 23. (17) Jesse Iwuji, Carrolton, Texas, Chevrolet, 78. Lap Leaders: K. Harvick 1-132; C. Rouse 133-158; D. Kraus 159-175. Standings: 1. D. Kraus, 47; 2. D. Thorn, 42; 3. C. Rouse, 42; 4. K. Harvick, 42; 5. R. Partridge, 39; 6. T. Huddleston, 38; 7. H. Deegan, 37; 8. A. Herzog, 36; 9. R. Johnson,Jr., 35; 10. R. Lanpher, 34. SACRAMENTO, CALIFORNIA (March 15, 2018) – The season opener for the Pacific Challenge Series presented by PenneyLawyers.com set for Saturday at Madera Speedway has been postponed due to weather. Rainy conditions forced cancellation of Friday practice and unsettled weather on Saturday was also a factor. A reschedule date will be announced at a later date. The Pacific Challenge Series is set for eight races in 2018 across four different race tracks, with the next scheduled race on April 21 at Shasta Speedway in Anderson, CA. BAKERSFIELD, CALIFORNIA (March 14, 2018) – The final event of the 2017-18 Winter Series at Bakersfield Karting Experience is this Friday with racing for Open and Stock Appearing Dirt Flat Karts. Pits open at 2pm with racing at 7pm The BKE rental karts will also be available throughout the program giving fans the chance to be in the racing program! NASCAR STARS Ryan Reed of Bakersfield and Ryan Truex are both expected to be a part of Wednesday's League Night! Don't miss it! SATURDAY'S SX PARTY begins at 5 p.m. and includes drink specials for St. Patrick's Day! 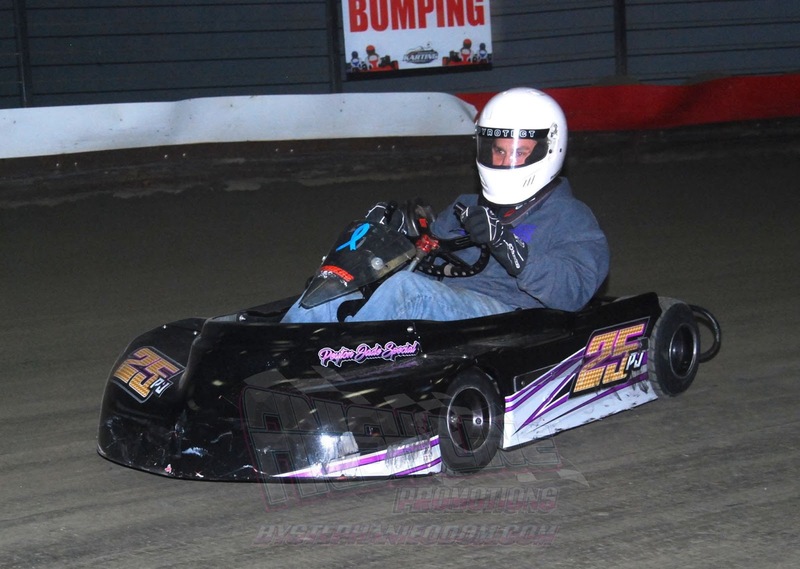 Bakersfield Karting Experience is a state of the art, complete entertainment venue! RC car racing, oval dirt kart racing, golf simulator, arcade games, and food and drink specials. 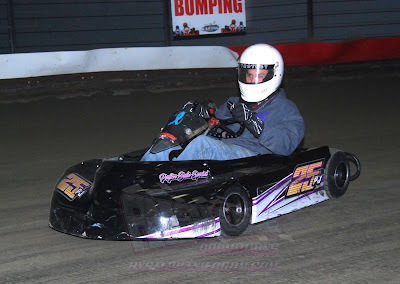 BKE is open to the public 6 days a week with karts available for rent for a single race or for group outings. Birthday parties and private room rentals round out the extensive options for a night out or for a great get together. Kody Vanderwal will be making his third visit with the NASCAR K&N Pro Series West to Kern County Park Raceway in California on Thursday. To think, Vanderwal almost didn’t make it to his first race at Kern. 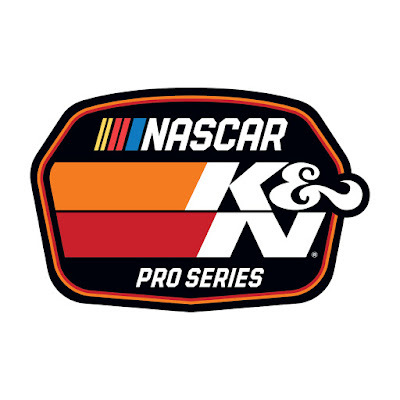 The NASCAR K&N Pro Series West season opens in Kern County. Vanderwal, a 17-year-old driver from Colorado, is entering his second season in the K&N Pro Series West. He was supposed to race only one time, the season opener at Tucson Speedway in Arizona last year. But he continued, entering every K&N Pro Series West race and finishing in the top 10 in the K&N Pro Series West standings. He doesn’t measure the success of his first season by the results of his races. He considers it a success because he started and finished every race on the schedule. He had two top-five and seven top-10 finishes in 14 races. Kyle Vanderwal had seven top 10 finishes last year in his first season in the NASCAR K&N Pro Series West. Vanderwal didn’t start racing until he was 11 years old. But he remembers going to the race track with his dad when he was 6. He was able to work in the pit areas during the races and in the garage during the week. He was always around his dad, Rudy Vanderwal, and his cars. When Kody turned 11, his dad put together a 1972 Monte Carlo for him to run in enduro races. Kody Vanderwal said he returned to dirt track racing after a stint on the asphalt track at Colorado National Speedway. But he has yet to win a race on a dirt track. He will get another chance on the dirt when the K&N Pro Series West visits the dirt track at Las Vegas Motor Speedway on Sept. 30. Kody Vanderwal is a junior in high school. He has been homeschooled and will be managing his school schedule with his K&N Pro Series West schedule and racing super late models at Colorado National Speedway. He also plays football for the Dayspring Christian Academy eight-man team. He’s a defensive end and offensive guard. But he is debating whether to play football in his senior season. His focus is on racing. He wants to improve on his rookie campaign. He knows the field in the K&N Pro Series West is competitive and talented. He got a taste of the depth of the field at the K&N Pro Series East season opener at New Smyrna Speedway in Florida. He finished 11th in a car prepared by Bill McAnally Racing in a field that included some of the top teams and drivers from the K&N Pro Series East and West. Vanderwal finished ninth in his first race at Kern County. He didn’t have quite the same result in his second trip to Kern County, in the season finale. He crashed his car in practice finished 18th in the team’s back-up car. Vanderwal said he is looking forward to returning to the track in Bakersfield in the No. 43 Bultrite Signs/LaSalle Oil Toyota. His team, which is a joint effort between Patriot Motorsports Group and Flying Dutchman Racing, has expanded to two cars and is committed to running a full season. He has experience on the tracks in the K&N Pro Series West, which should translate into better results. He knows where he can improve at Kern County from the two races from last year. 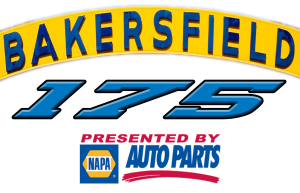 The Bakersfield 175 presented by NAPA Auto Parts at Kern County Raceway Park will practice and qualify Thursday afternoon, with the green flag scheduled for approximately 8:15 p.m. He has high expectations, but he doesn’t know exactly what kind of potential his team has. “I don’t know exactly what to expect,” he said. “I know our cars are going to be more prepared. Our team is going to be more experienced. I’m going to be more experienced, so I expect to run better. I don’t know exactly what to expect about how much better. The Numbers Game: Bill McAnally Racing will feature a slightly different look this year, as two-time defending champion Todd Gilliland moves up to the national series, and 2017 Sunoco Rookie of the Year Derek Kraus slides into the seat of the No. 16 NAPA Auto Parts Toyota. Kraus won at Kern to close out last year in the No. 19. That car number is now with BMR’s Hailie Deegan, a NASCAR Next driver and series’ rookie. And Cole Rouse, won won the CARS Late Model title last season, returns to the K&N Pro Series West in the No. 99 NAPA Filters Toyota. Rouse finished eighth in 2016 in the West in the No. 6 for Bob Bruncati. That ride for Sunrise Ford will be filled by Derek Thorn, who won five times in it between 2012-13 and won the series championship in ’13. Thorn has a pair of sixth-place finishes at Kern, and also won Kern’s big money Super Late Model race, the Winter Showdown, in 2017. Rod Johnson Jr., who ran the No. 4 at Kern in last year’s finale, will pilot the No. 44 Thursday to allow Harvick to run his No. 4 for fans who follow his Monster Energy NASCAR Cup Series successes. Return Engagement: David Mayhew posted a pair of top five finishes in his two starts last year, and he’ll return to Kern Thursday in the No. 17 MMI Services Chevrolet. Mayhew, who has 10 career K&N Pro Series West wins, has led the most (146) laps of any competitor at the Bakersfield half-mile. He has four top fives in six races there. 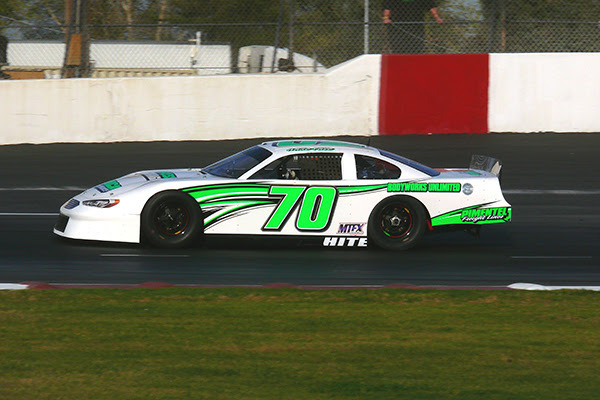 He also won an astounding 15 times in the Late Model division at Kern in 2013 en route to the track’s inaugural NASCAR Whelen All-American Series Division I title. 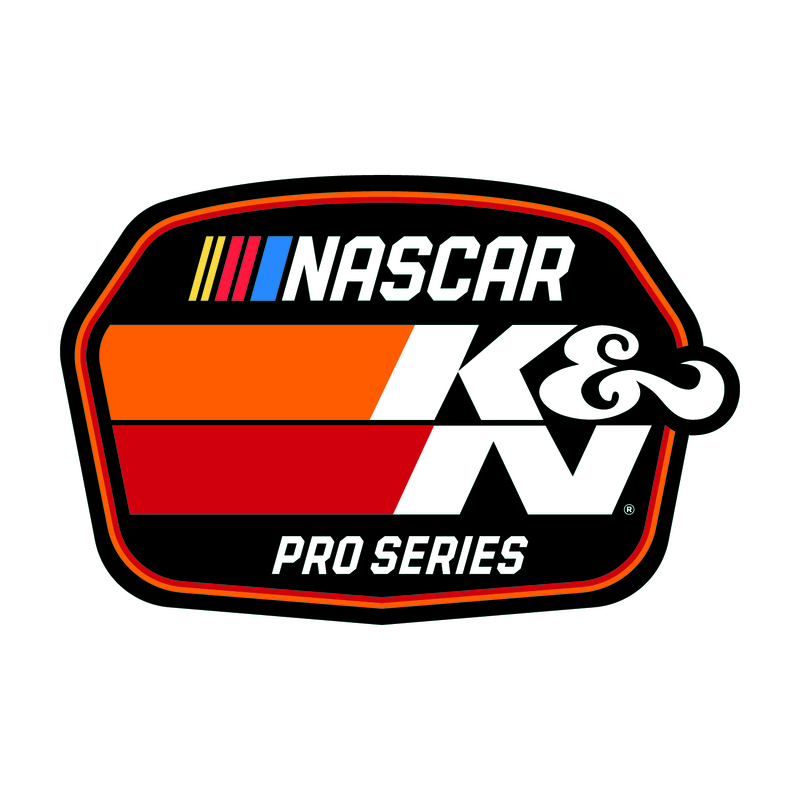 Nothing New: While this is the season opener for the NASCAR K&N Pro Series West, seven drivers in the field already have K&N Pro Series track time and experience on the new radial tires this year thanks to running the East opener at Florida’s New Smyrna Speedway last month. Rouse finished second and Kraus was fourth in the New Smyrna 175. Deegan, Salvatore Iovino, Jesse Iwuji, Andrew Tuttle and Vanderwal also made their season debuts in Florida. Streaking: Harvick has made plenty of headlines with his three straight Monster Energy NASCAR Cup Series wins this season. He enters Thursday on another winning streak: Two straight K&N Pro Series victories. Prior to his win at Sonoma Raceway last year, Harvick was the highest finishing West driver (second overall to a then 16-year-old Joey Logano) in the inaugural combination race at Iowa Speedway in 2007. He was credited with a West win, under the race rules at the time. His previous start before that? He was 13th in the 2005 West opener at Phoenix. Full Schedule: In addition to the K&N Pro Series West opener, Thursday night at Kern will also feature the track’s Whelen All-American Series Late Model division. Harvick will serve as Grand Marshal for the Happy Harvick 50 for the division. Kern’s Super Stock and Les Schwab Tires Spec-Mod divisions headline the racing on Saturday, March 24. The NASCAR K&N Pro Series West kicks off Thursday with the Bakersfield 175 presented by NAPA Auto Parts at Kern County Raceway Park in Bakersfield, California, and the NASCAR Whelen Modified Tour gets underway Saturday night with the Performance Plus 150 presented by Safety-Kleen at South Carolina’s Myrtle Beach Speedway. It’s been 19 years since Kevin Harvick has been to Victory Lane in a NASCAR race in his hometown, and he’s looking to go back. The 2015 Monster Energy NASCAR Cup Series champion returns home to compete in the K&N Pro Series West opener, as a lead-in to the national series doubleheader weekend down the road at Auto Club Speedway in Fontana, California. Harvick, who will pilot one of the four Jefferson Pitts Racing entries, ran at the old Mesa Marin Speedway in the West Series as well as the NASCAR Camping World Truck Series and the former NASCAR Southwest Series. While he had a best finish of third in six West starts and runner-up in five Truck starts, he won the final two of his 12 Southeast Series races at the now bulldozed half-mile. The fast half-mile, state-of-the-art Kern facility now resides in Bakersfield, and Harvick will head a field of talented young drivers looking to make their own name. Jefferson Pitts Racing will have a trio of rising stars as Harvick’s teammates, led by 24-year-old Will Rodgers, who impressed in a runner-up finish to Harvick in the West race at Sonoma last year. Austin Herzog, 15, will make his series debut, while Reid Lanpher, 19, is making the trek from Maine to get additional seat time prior to running in the K&N Pro East race at Bristol in April. 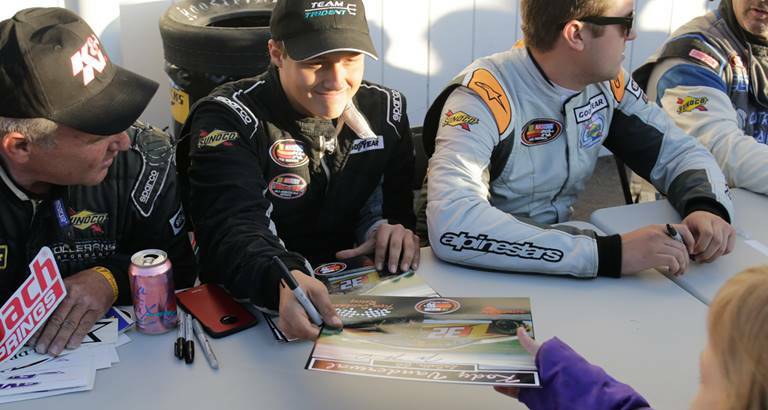 While two-time defending series champion Todd Gilliland, who has two wins at Kern, is not entered the event, his former team, Bill McAnally Racing, features a stable of drivers that also includes 2017 series’ Sunoco Rookie of the Year Derek Kraus, NASCAR Next driver Hailie Deegan and Cole Rouse. Meanwhile, Bruncati Racing will look to end BMR’s run of three straight titles with former champion Derek Thorn and 2016 series’ runner-up Ryan Partridge. They’ll be joined by 2017 NASCAR Whelen All-American Series national championship runner-up Trevor Huddleston, Kern’s 2017 Late Model Division champion. Kern County Raceway Park, Bakersfield, Calif.
Thursday — Garage opens: 9 a.m. PT; Practice: 1-1:45 p.m. and 2-2:45 p.m.; Group qualifying: 5:45 p.m.; Bakersfield 175 presented by NAPA Auto Parts: 8:15 p.m. CREW CHIEF HANDOUT: The maximum starting field is 26 cars, including provisionals. Qualifying groups will be determined by each vehicle’s overall fastest single lap from the official practice sessions. The first 22 cars will secure starting positions based on the two-lap qualifying session. The remaining four spots will be awarded through the provisional process. The BAKERSFIELD 175 presented by NAPA AUTO PARTS will be 175 laps (88 miles) to be run in three (3) segments. The five (5) minute breaks will occur at or near the conclusion of Laps 63 and 125. At the conclusion of the break, lead lap vehicles that elected to pit will line up – in the order they were running at the beginning of the break — behind the lead lap vehicles that elected not to pit in order of running. The maximum tire allotment available for this event is as follows: Four (4) tires for practice, four (4) tires for qualifying and to begin the race for a total of eight (8) tires.